I set out on my run with no expectations. I wanted to get in about 6 miles, I have not really had a plan since Eugene, running on feel and trying to stay injury free. It was an overcast day and there were several runners on the trail. As I took the turn to the straightaway path I recognized HIM. Lets call HIM Mr. Rude. I have seen Mr. Rude countless times running on the paved trails near my office, at times he runs with his thinner sidekick Mr. Grumpy. My first encounter with the pair was when I was heavier (230ish) and VERY out of shape. I was on the sidewalk as I slowly ran toward them, instead using runner etiquette and sharing the sidewalk then literally RAN me off the sidewalk, I was forced to the shoulder of a busy road. It was as if they didn't SEE me. I am a KIND runner, I smile, wave and make encouraging banter. Mr. Rude never smiles, waves or shares the pavement. So when I saw him I knew what I had to do!!! Dun dun dun. He was going about 8:20ish pace, oh I have this for sure. I knew that he would turn right less than a half mile ahead, so I started to increase the pace. Just then Speedy zoomed past, I said "Wow speedster!" This NICE runner turned and said "I am doing intervals!" Ah got it!! What small Victory have you had recently that made your Day? HIGH Five Friday will be up this afternoon!!! HA! Love it--glad you showed him what you could do. Hope he shares the space next time. Go LEAN & GREEN TALL RUNNER! You're not stooping to his level at all ... nothing wrong with showing him you mean business. CONGRATS on the awesome run. Hey, he deserved a little humble pie. BTW -- I feel that anyone out there running, fat or slim, slow, or fast, is "legit" and deserves the respect of other runners! hahah awesome! both on the run and putting mr. rude in his place! i'm like you and am a really friendly runner, i wave and say hi always, and it really gets me mad when people don't return the courtesy! it's like, cmon now we're not elites here. your life isn't going to end because you wasted a breath to say hi! My recent victory was getting below 12min/mile! Whoo hoo!! People do this all the time at the school I go to. They walk 2 or 3 abreast on the sidewalk and when you're walking from the opposite direction NONE of them move over. So annoying! he deserved it! good for you for showing him who's boss! YAY! I love it!! This is why I love running around my small town - EVERYONE says hi and waves. Running while visiting a bigger city, I feel like everyone is Mr./Mrs. Rude, and it leaves me kinda grumpy too. 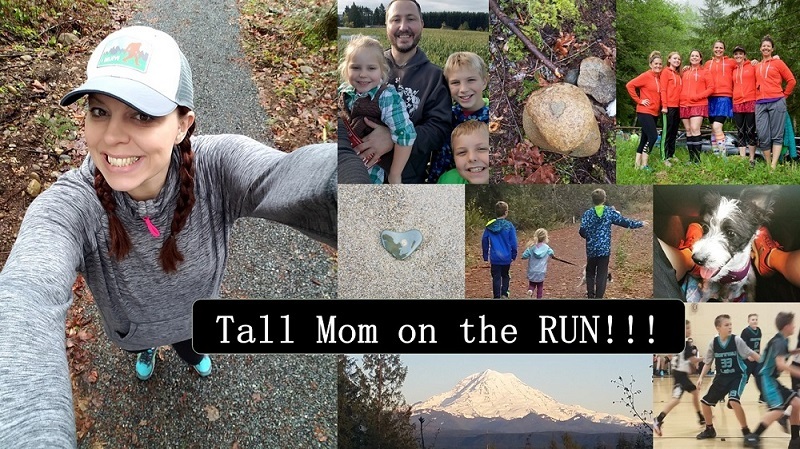 We need more kind runners out there! I say hi or wave to everybody I see. Sometimes I'm not sure if I've already seen them or not...I say hi again, anyway! On my first century ride (only one so far) last year, I was really annoyed by how many people would zoom by me without even bothering to say hi or even "on your left". Common courtesy should be more common! I love it! I just don't get it when other runners make a point to avoid eye contact or just totally ignore me when I smile, nod or say hi to them. Our group is the same with saying hi, getting out of the way etc. and we certainly talk about the other runners who don't return the favour. I'm a smiley runner. Endorphins can do that. Great job on putting Mr. Rude in his place. He needed a lesson in the dangers of pigeon-holing people. Just because he pegged you as 'out of shape' and not worth the sidewalk, you showed him otherwise. Love it! My recent accomplishment was 3 miles at 10min/mile pace without stopping. nice victory, sounds like Mr Rude deserved it! my most recent reason to celebrate is breaking 30 min in a 5K practice run. what an awesome feeling that must have been!! Enjoy it, you've definitely earned it. Runners (and even people just casually walking) who don't make any effort to make room for others completely annoy me! Definitely inconsiderate. That must've felt GOOD! No mercy for rude people. no mercy. What a jerk. Bet it felt good . . . smiles all around. Great JOB Mel! Some poeple need a swift kick in the you know what!!! I can't wait to see you at the race next week!! I LOVE it and I don't think it was sinking to his level. Did you force him off the path, NO. Well done that must have felt fantastic. That is SUCH a cool story! I love that you "got him back" in a positive way. I run into this problem a lot. Rude people that don't share the path. I've been almost run over by cyclists as a result and I have no problem yelling at them "Share the path!" As I run past. I cut my marathon time by an hour! The first time it was so painful and hard (5:32), second time was worse (6:02) and third time (4:33): VICTORY! I once had a Mr. Rude in my way - running in the same direction. He refused to let me get around him. Buddy, this ain't no race, we're not in the same age group or the same gender. Geesh. Nice run and nice job with mr. rude!